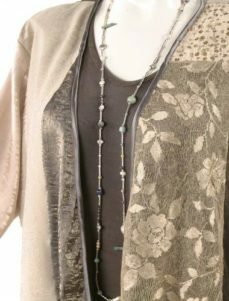 Plus Size Special Occasion Kimono Jacket Rayon Print Plum Taupe: Day wear that's easy and elegant: Tunic Length Kimono Jacket in wine/chocolate/silver German rayon print. Add chocolate slinky Tee Dress to create this ensemble. This unique, German rayon is no longer being made; I saved this one in my collection for several years. When designing with such a fabric, we consider very carefully how to place the patterns to best utilize the print. 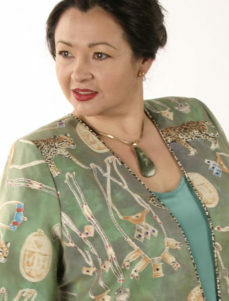 The fabric is soft, the print is subtle and detailed, and quality is truly fine. A Very Limited Edition: Only two left of the original five! 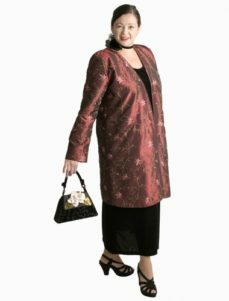 Be the first to review “Plus Size Special Occasion Kimono Jacket Rayon Print Plum Taupe” Click here to cancel reply.